What is the biggets mistake we see made when dealing with Pain and children? Every pain seems to get labelled as growing pains! The unfortunate fact about this is that 90% of the pain that children experience is treatable. This means by helping you decipher which is which we can prevent a lot of children from needlessly putting up with pain. Believe me I know how tough this can be every child is different. Some will complain about the slightest little niggle where others wont tell your they are sore until they have broken a bone. Hopefully by the time you have finished reading this article you will have some clear strategies for being able to decide what can be treated with an icepack and some love and what really needs the attention of a health professional. Growing pain is a commonly used term for children who experience pain in their lower limbs. Usually this is said to occur when the child goes through a stage where they have had a sudden growth spurt. 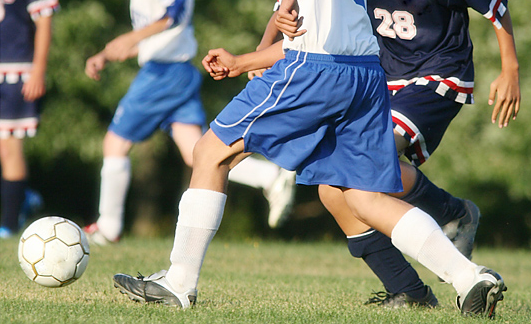 Common knowledge for growing pains includes muscle fatigue, overuse, or psychological. However, is your child really having growing pains? What if it is something else? Growing pain symptoms can regularly be confused with other types of pain that are indicative of other problems that need to be addressed. To help you out with this we have developed a table outlining the differences between growing pains and other pain and followed up with a questionnaire that should make your decision making process as the adult a lot easier. If you are ticking ‘Yes’ to 2 or more of these boxes then your child is not suffering from growing pains and should be assessed by a health professional. If you would like some further information on this click this link and it will explain what is involved in this assessment and how to get it! ← EVERYTHING YOU NEED TO KNOW ABOUT CHOOSING THE RIGHT SCHOOL SHOE!